At cell scale, metabolic energy maintains the living mechanisms running, the major source is resuming by an electronic perturbation that wakes up the whole processes responsible for life. Between the generations of electron to its final acceptor usually, the oxygen, many electron-transporters are involved. Among them the quinines that worked with different valence states of the same metals especially iron to fulfill the cell demand in oxygen and/or collection of electrons to assist the electron transporters. The review talks about the possible intervention by nanomaterials as a source of bio-energy, when the system of respiration is broken and the final acceptor of electron is weak, under hard conditions, to restore bio-respiration and reanimates the collapsed mechanisms. This particular intervention recuperates and extends the respiration, the key of life, for some additional times when all source of oxygen are down and no swinging of electrons between the generators, transporters, and final acceptors of electrons in cell respiration. The author declares that there is no conflict of interest regarding the publication of this document. Chen, H., Tian, J., He, W., & Guo, Z. (2015, 2015). H2O2-activatable and O2-evolving nanoparticles for highly efficient and selective photodynamic therapy against hypoxic tumor cells. Journal of the American Chemical Society, (137), 1539–1547. https://doi.org/10.1021/ja511420n. Tan T.L., Lai C.W., and Abd Hamid S.B., (2014). 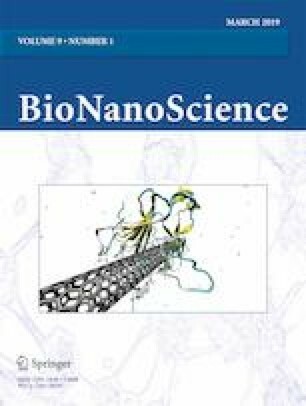 Tunable band gap energy of Mn-Doped ZnO nanoparticles using the coprecipitation technique, Journal of Nanomaterials, Article ID 371720, doi: https://doi.org/10.1155/2014/371720.